Planning for 2019. It’s what I’ve been busy working on for a few months now. However, most of my planning has been done in my head and my BIG Happy Planner (specially since I bought the hole pucher for it!) until I read about Yvonne’s 2019 Planning Party over at her blog Quilting Jetgirl. There’s many things going on in my life that are changing some and I want to make sure that everything is accounted for and covered. Specially since we are going to be moving early next year and changing lifestyles, hopefully before the heat of summer is upon us. Currently we live in town but are going to be moving to acreage in which we will set up our mini farm. Neither of us has lived on a farm before but we both have assorted knowledge in the different areas of things we want to do – it’s just going to be on a bigger scale than we’ve done before. Nikki is homeschooled and in the next few months we will be making a change. I’m attempting to slowly intergrate the changes working up to her 1st grade school year. We are going to be using an eclectic mix of A Mind in the Light Curriculum and Ambleside Online and I’m actually really looking forward to it. At this time, I’m not sure if I’ll be adding an additional reading, spelling, or math program to it or not. Those things are already integrated into everyday life and I’m not sure if another thing to check off every day is in our best interest specially with the upcoming move. Come the beginning of the year, we (Nikki and I) are going to be amping up our blog here and really get things going. Lots of planning, thinking, and debating have been going on. 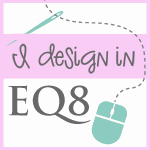 We are going to have our blog focused on the creative things we do – sharing the how’s and finished items. I’m also going to be sharing my quilting and sewing adventures here. I’m aiming on 3 blogs posts a week – one on Tuesdays which will be a combination of to-do and a recap of things we did the previous week; another towards the end of the week that’s a how-to (could be anything from crafting, a quilting pattern, a recipe, etc); and finally a quilting / sewing related post of something I’m working on at that time which I’ll probably post on the weekend. This is my word for 2019 for a variety of reasons. I have a tendency to be a Magpie – ohhh a shiny! when new quilt alongs come up. I really have to be more deliberate in my decisions for which ones I decide to start. I’m one of those people who make bunches of things. Combine my ability to make with my magpie tendencies and I Want. To. Make. ALL. The. Things! It becomes very overwhelming at times. We lost everything when I was in elementary school. Overnight we went from shopping at the mall to shopping in thrift stores. Luckily, it made into a sort of game for me, a treasure hunt of types, and I really enjoyed it. The problem is I still enjoy it – too much. I have a lack of will power when it comes to good sales, clearance, thrift stores, flea markets, or yard sales along. To help me try not to add to my stash too much, I’m going to be using the FREE Stash Shrinker spreadsheet by Michelle over at Sew Journers. It’s an excel worksheet, but you can use Google docs spreadsheets for free like me if you don’t have excel. I have a copy saved in my Google account plus I’ve printed it out in a 2 page format which I have in my planner so I have no excuse not to keep track. Once again, the magpie reference comes into play. I come across what appears to be fun, new cirruculm and I want to do it all! It becomes very overwhelming for me. Luckily, I’m able to rein in it before I actually overload my little girl, but I have to get better at being able to say that’s nice and move on without buying / downloading every new worksheet / workbook / lessons I come across. A number of years ago I realized that I’m an emotional and habitual eater… If I’m bored, I eat. If I’m upset, I eat. If I’m stressed, I eat. If I’m feeling down, I eat. I have a big snack at night as a way to decompress wether I’m hungry or not – why? because it’s habit. The good news is, at least I realize this. The bad news is, it’s very hard to keep under control. I really need to do a better job at this. I’m not too sure how much I’m going to focus on dealing with my quilty or crochet WIPs since I’ve already started packing up my craft room including all WIPs that I’ve not touched in a while… I have joined in for 12 Things in 2019 which includes 4 quilts, 1 quilted wallhanging, 7 quilted pillowcases, and some other things; along with #2019MakeNine challenge – but all of these are things I’ve not yet started and since there’s no specific month for these challenges, I won’t feel pressured to finish them if the timing is not right. There are several long term projects that I’m working on, but those are for another time. If you’re interested in planning for 2019, go visit Yvonne over at Quilting Jet Girl and link up too! Hope to see you there. I wish you a very smooth move and I hope that establishing yourself in your new home and routine is a lot of fun. That lifestyle change sounds good to me as well! Thank you so much for sharing your word of the year; deliberate has such a nice feel to it and I like how it applies to all aspects of life. Thanks for linking up with the Planning Party and I hope you have a wonderful year!